Pack your bags! The 26th Annual Rhode Island Statewide Historic Preservation Conference is headed overseas. Twelve miles off the mainland, Block Island beckons as both a historic vacation spot and a tight-knit community. Grand hotels, well-preserved summer cottages, walking trails, historic sites, and attractive beaches appeal to visitors. Meanwhile locals keep the businesses humming, preserve local landmarks, and conserve open space – more than 43% of the island is protected. Whether you are an islander or a mainlander, you won’t want to miss the chance to explore Block Island from a historic preservation perspective. 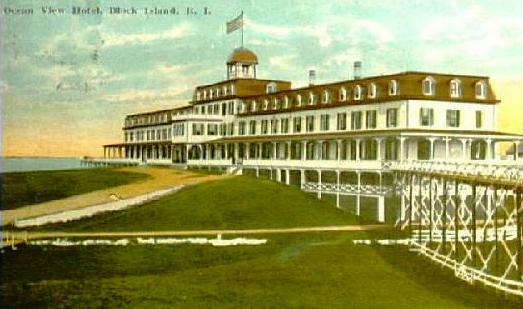 The 2011 conference will showcase preservation issues pertinent both to Block Island and to other communities around the state. Discuss efforts to install windmills in historic places, to preserve underwater shipwrecks, and to operate historic hotels. Don’t miss the opportunity to tour what the Nature Conservancy called one of the “last great places” in the Western Hemisphere. Field trips will sample the island’s landscapes and architecture. Destinations include conservation land and farms, resort hotels and summer cottages, and the island’s two treasured lighthouses, from North to Southeast. More details and information at preservation.ri.gov. Thanks, Jef! Should be a great day on the island.